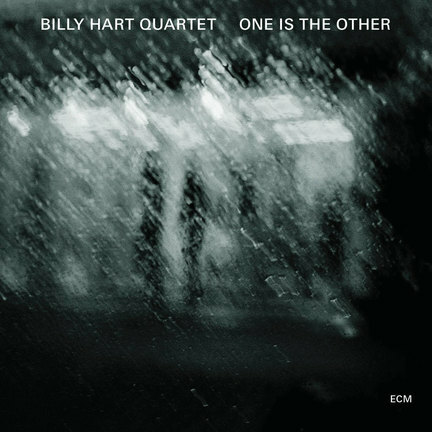 The Billy Hart Quartet gets more laidback with each release. One Is the Other is the group’s third effort (and second on ECM), and it is a demonstrably looser, freer affair than its predecessors. It’s as though the veteran drummer and his younger compadres-tenor saxophonist Mark Turner, pianist Ethan Iverson, bassist Ben Street-decided they’d proven themselves and can now take more risks with their music. Playing together for a long stretch-these guys have been at it for more than 10 years-has it advantages, and the most important one is that each member can sense where the others are headed. Perhaps this album’s title is a nod to that idea, or ideal. While the band may bear the drummer’s name, this ensemble is not merely a vehicle for his dazzling technique. Each member’s imprint is felt equally. Three of the eight tunes are Hart’s, two each are from Turner and Iverson, and one is a standard. Turner’s challenging, odd-metered “Lennie Groove” begins with Iverson darting around alone for more than a minute and a half; eventually Iverson and Turner double on the tricky melody. It’s a tribute to Tristano that Turner wrote years ago, but because this quartet plays with its own identity, it feels as though it were written specifically for this band. Hart’s sophisticated, tasteful drumming reveals itself on Iverson’s tender “Maraschino”; playing sparsely with brushes, he never states the rhythm but merely implies it. Hart’s three lively contributions-“Teule’s Redemption,” “Amethyst” and “Yard”-form the disc’s core. He dances around their rhythms, and while each tune serves as a showcase for the drummer, he never actually solos. This is not a head-solo-solo-solo-head kind of band. Not even on their beautiful, dramatic reading of “Some Enchanted Evening” do any of these guys lay out so someone else can solo. No, in the Billy Hart Quartet, every moment is an opportunity for everyone to express himself.